The top has positive and negative sides to it. Positive: It just looks great. One of the best sculptured clothing objects I have seen. 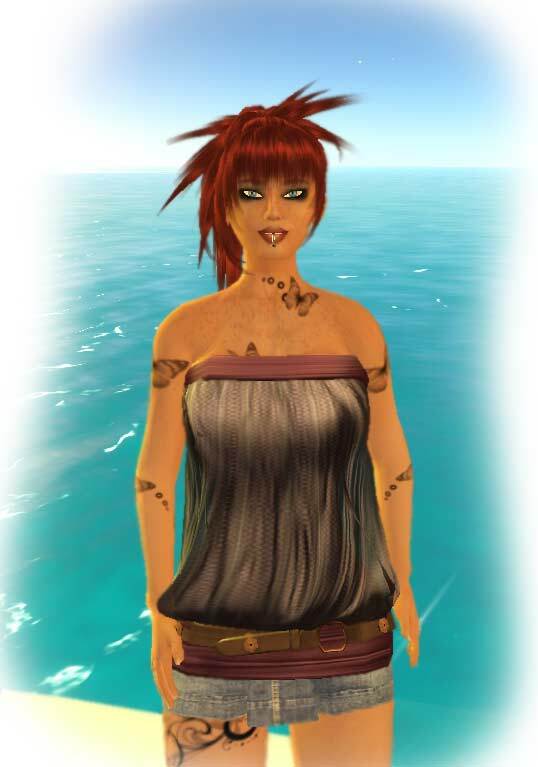 Finally a top that actually sits “normal” and does not make your avatar look like its wearing a vakuum top – exposing your breasts unnaturally. Negative: It only looks fine as long as u either wear no AO or use the integrated AO. As soon as you wear an AO that makes u move a bit more or dance a dance that has a lot of movement… the prim top just looks funny moving around. Aww well, I guess there is always a catch in looking good. I really love the jeans mini-skirt though. Well made and just pretty. Ready for spring? You bet!